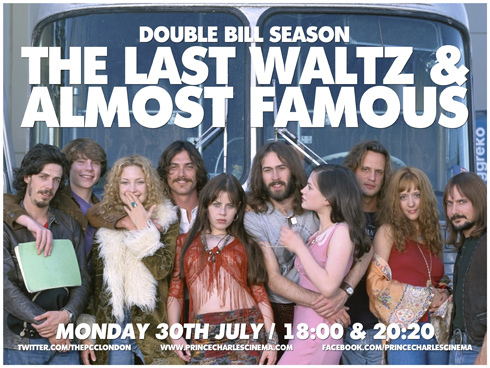 The Bootleg Cut of Almost Famous will be screening as part of a double feature with The Last Waltz. The Prince Charles Cinema in London will host the event on July 30th. More details and ticket info over at their official site. Almost Famous: Bootleg Cut Blu Out This Sunday! Bootleg Cut Blu-ray Easter Eggs! “@CameronCrowe: Uncool News – Almost Famous – Bootleg Cut Screening in UK this Monday. http://t.co/VvImQvYy” I want to go to there. Let’s do one in LA!